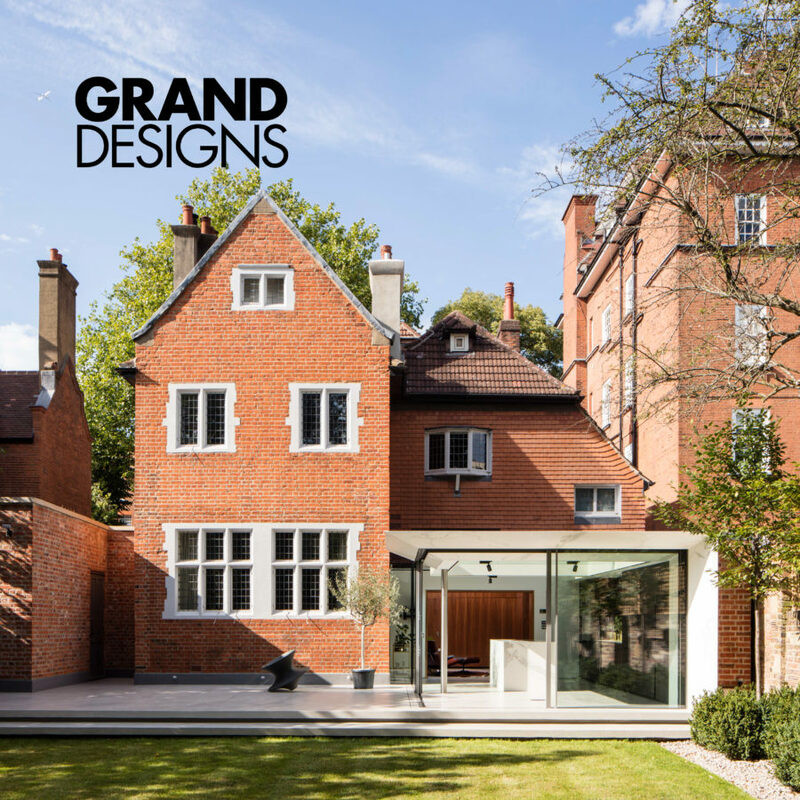 This piece in Grand Designs takes a look at the thinking behind Finkernagel Ross Architects’ stunning project Wedderburn Road. Exquisitely detailed this contemporary extension and alteration to a Grade II listed detached Victorian property in Hampstead is built almost entirely of glass. Topped with a crisp marble clad canopy, which appears to float, allows for a clear view of the rear of the original Arts and Crafts house.